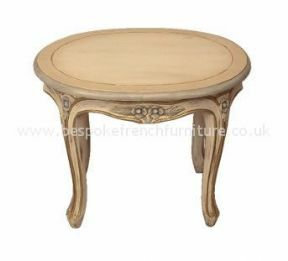 From our Bespoke Collection - where you can choose the finished colour - is this Versailles Side Table elegantly hand carved from solid mahogany and finished in the UK resulting in an exceptional piece. Our Versailles range includes a coffee table, dining table, armchair and two or three seat sofas. The price for the coffee table shown here is an example of a previous order and applies to similarly finished pieces in paint or polish. Should your order require more work then the price will need to be adjusted accordingly. Please contact us for a quote.